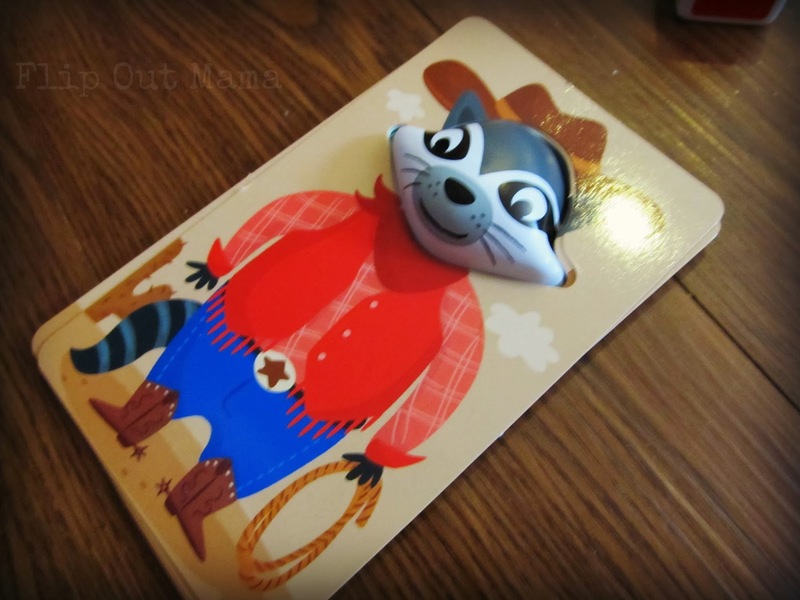 I love playing board games with Tater. We have a ton of fun, and I am always looking for new games to add to our collection. However, my little Bean is only three and a half, and he is too little for most games that we play. He usually tries to help me, but ends up being frustrated and going off to play on his own, and that makes me sad. So, when we got the chance to review Raccoon Rumpus from Educational Insights, I was thrilled! Finally a game for everyone to play together! 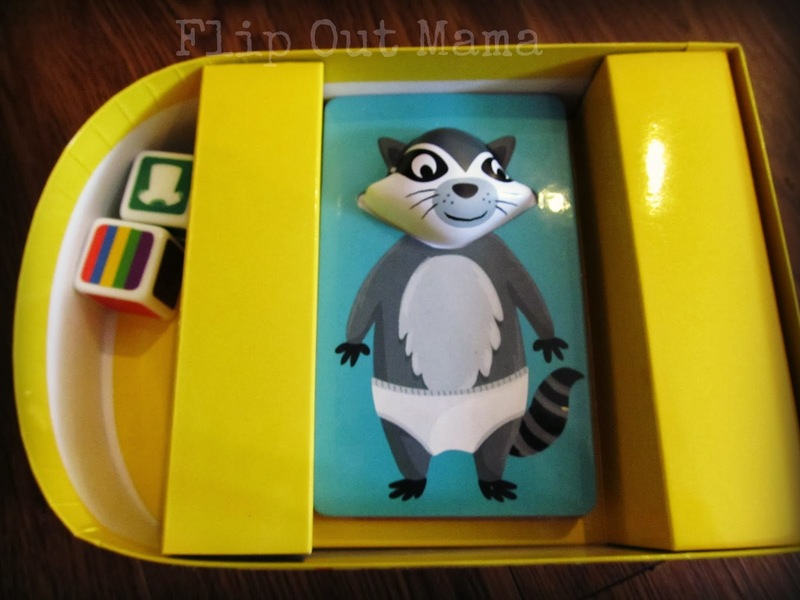 This game is perfect for preschoolers on up! 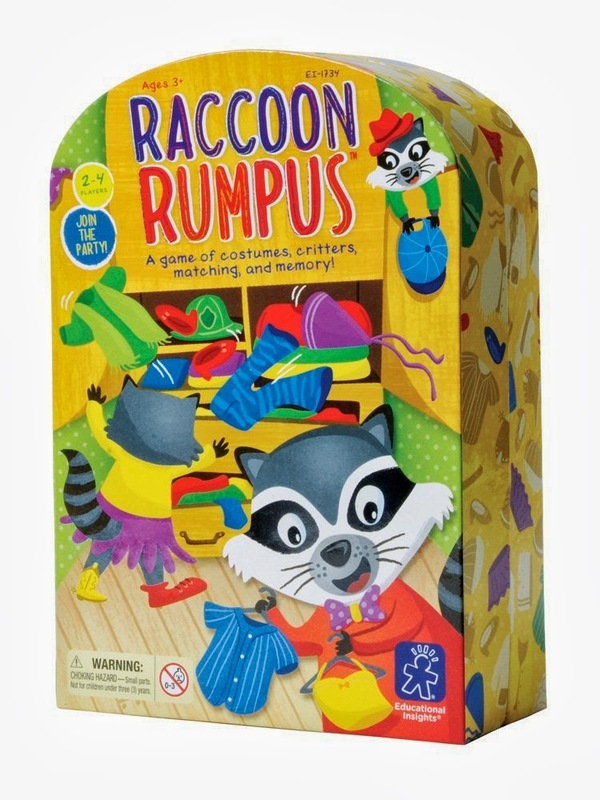 I love the fact that kids don't have to know how to read to play this game! You roll the dice, and it will tell you if you are looking for pants, shirts, or both, and what color you need to choose for your raccoon. The person who gets the most outfits wins. But, watch out, there is an underwear spot on the die, and if you land on that one, you have to give all of your outfits back! The underwear rolling option is super cute, and everyone really loved that! 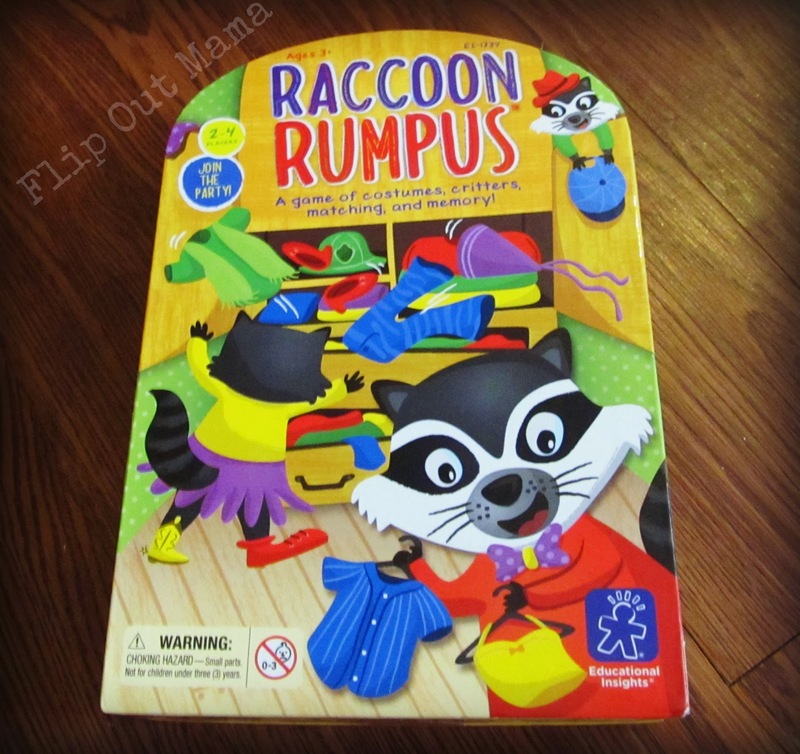 We have all really enjoyed this game, it's fast to play, which is good for mom and the kids, so none of us get bored! 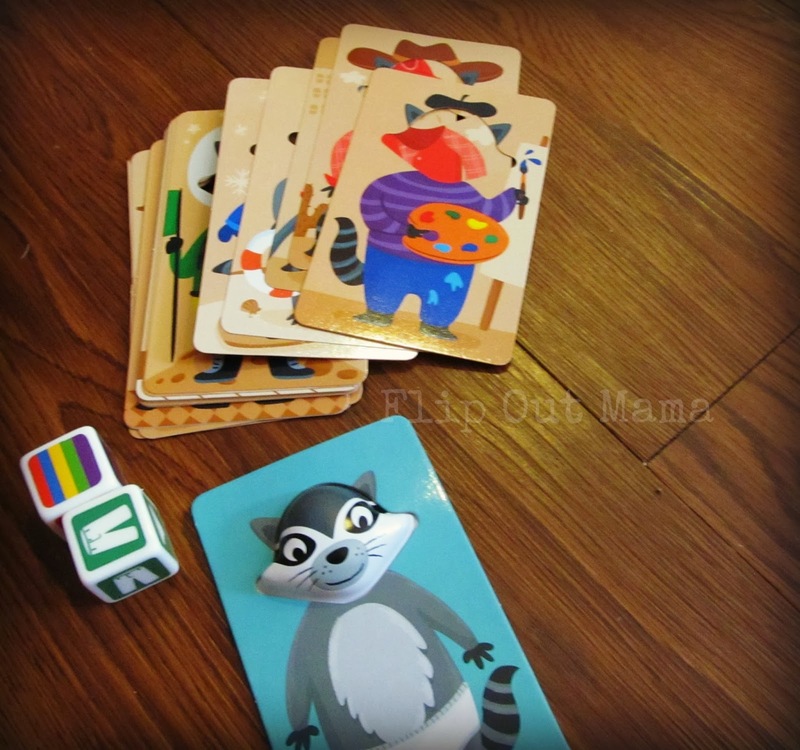 The cards are all very sturdy and easy for little hands to grasp, which is also great. I like that the box is small, so it's easy to take along. You can keep it in the car, throw it in a diaper bag, whatever. That is also a great plus to this game! 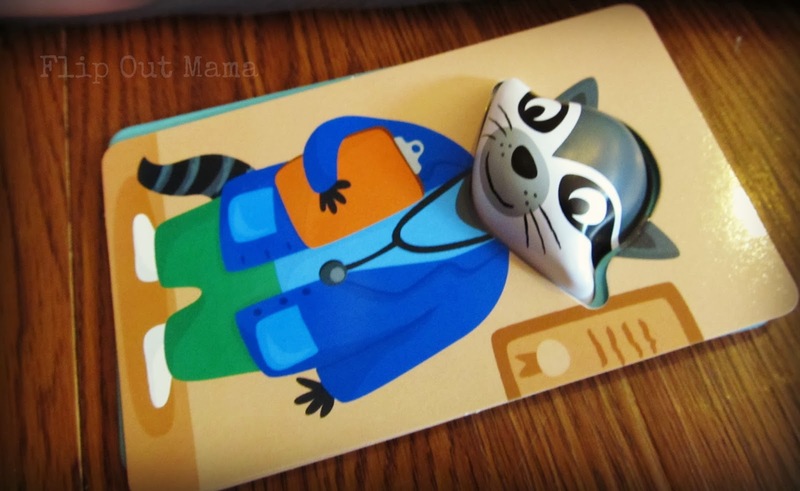 As a homeschooling mom, I am always looking for teaching opportunities that are fun, and this one is perfect! I love that it reinforces color recognition to my little guy, and also helps him learn the basics of playing a game (taking your turn, rolling the dice, winning/losing). The price is also right, since this game is under $15.00 on Amazon! 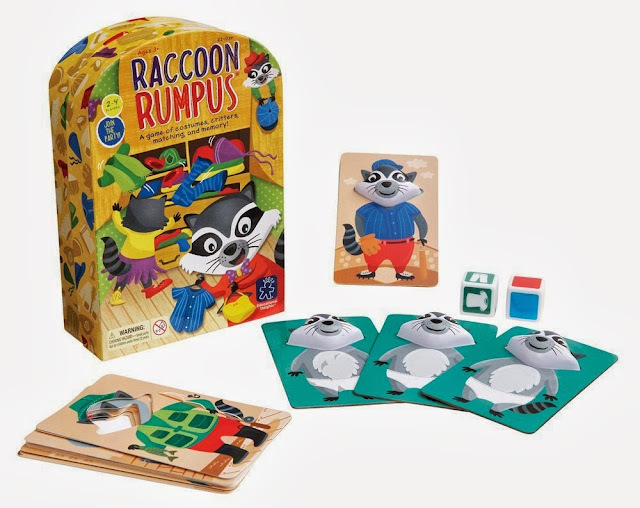 Raccoon Rumpus is a great game, and I would totally recommend it if you are looking for a fun game to play with your little ones! Don't forget to sign up for EI's newsletter so you can be in the loop on all of their fun new products, and make sure to follow them on Facebook, Pinterest, and Twitter too! We received a sample product in order to conduct this review. Although we received a sample product, all opinions are 100% our own. Have You Ever Done A Home Energy Check? Our First Day Of #Homeschool EVER!